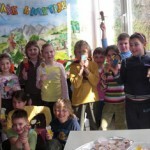 Lea Nakrst, A student teacher in Slovenia spent last year studying in Sweden. While there she attended a one-day pre-conference Storyline workshop and the Nordic Storyline Conference held in April 2008 in Gothenburg. 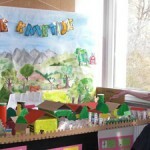 This experience inspired her to study the approach in more depth and she decided to write her dissertation on Storyline. She was greatly helped by her 3-months long practice at Fyllingeskolan in Halmstad, Sweden. 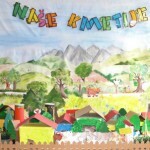 On her return home she felt that she needed to experience using it in a classroom by herself and so, with the wonderful support of the staff of Osnovna šola Janka Kersnika Brdo she worked with a class of 7 & 8 year old pupils over several weeks using a Topic Outline which she herself had designed – Life on a Tourist Farm. She was thrilled with the results and describes her experience on a ‘pdf’ file which can be reached by clicking here. Congratulations Lea!